Mrs. Glenn and Mrs. Loftis - they make sure the school is running smooth! Fifth Grade students hosting Science Night! Full rainbow over the North Cove ball field and playground. The amazing team in our cafeteria! End of the Week - teachers are crazy! Our amazing team of bus drivers! Kindergarten wishes us all a Happy Holidays! Spreading holiday cheer during our Christmas Singalong! Welcome to North Cove Elementary! GO LIONS! NCE Staff - We Work Hard, We Play Hard, We Excel! A beautiful morning at North Cove Elementary! 4th Graders are raising trout! Student Safety Patrol assists students in the mornings and afternoons. 5th Graders share essays on the radio! Tiny the therapy dog is helping build confidence in North Cove readers! 4th Graders awarded for designing print advertisements for a local business. 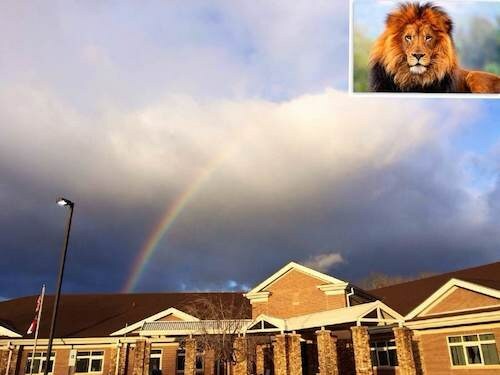 Welcome to North Cove Elementary! 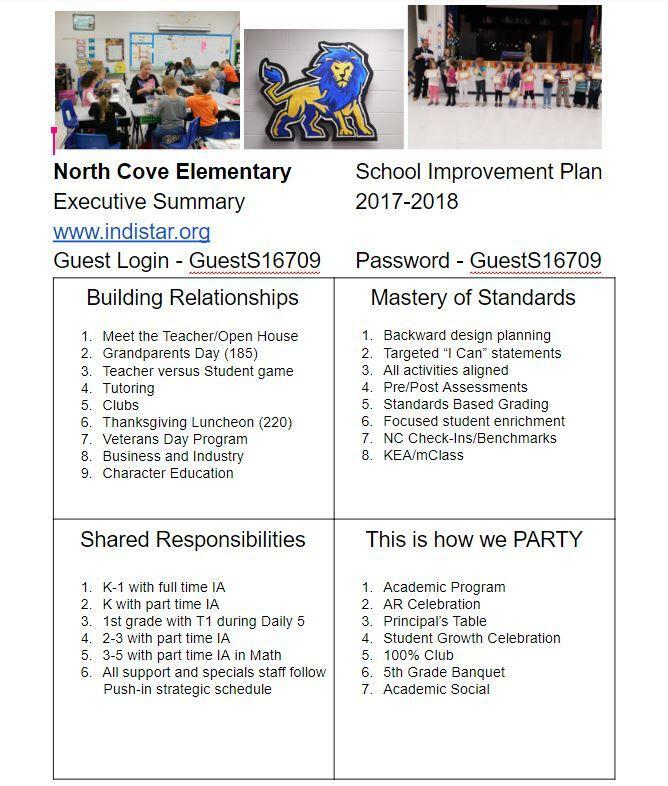 The VISION for North Cove Elementary is for all students to gain knowledge, foundational skills, and confidence needed to become lifelong learners. 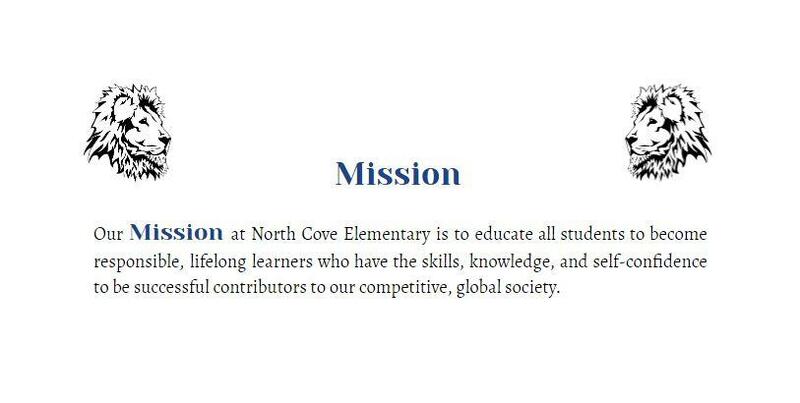 Our MISSION at North Cove Elementary is to educate all students to become responsible, lifelong learners who have the skills, knowledge, and self-confidence to be successful contributors to our competitive, global society. North Cove Elementary is located in the northern section of McDowell county. We provide services to families in Ashford-North Cove, Coxes Creek, Turkey Cove, Woodlawn, and 221N to Hankins area leading to the back side of Lake James. North Cove Elementary is the smallest elementary school in McDowell County, averaging just less than 300 students on campus daily. Due to our small size, our learning community compares to a close-knit family. As a result, staff have nurturing relationships with students and collaborative relationships with families. North Cove staff is committed to continuous improvement for the benefit of our students and our community. Celebrating Read Across America Day on Friday, March 1! Students may dress as their favorite book characters! The Corpening YMCA is excited to be able to offer free lunches on Saturday for anyone under the age of 18. A Y membership is NOT required to participate. Please come join Mr. Slagle on Thursday, January 31, 2019 at 12pm in the NCE Multi-Purpose Room. He will be sharing the North Cove Elementary budget as well as our goals for the current 2018-2019 school year. We hope to see you there! Please click on the link above to take an important parent survey! Mrs. Melissa Sisk, IA of the Year 2018-2019! We want to congratulate Mrs. Melissa Sisk on being voted our IA of the Year! Mrs. Sisk works with 1st grade and drives a bus. Thank you for all your hard work! We are so thankful to have you at NCE! 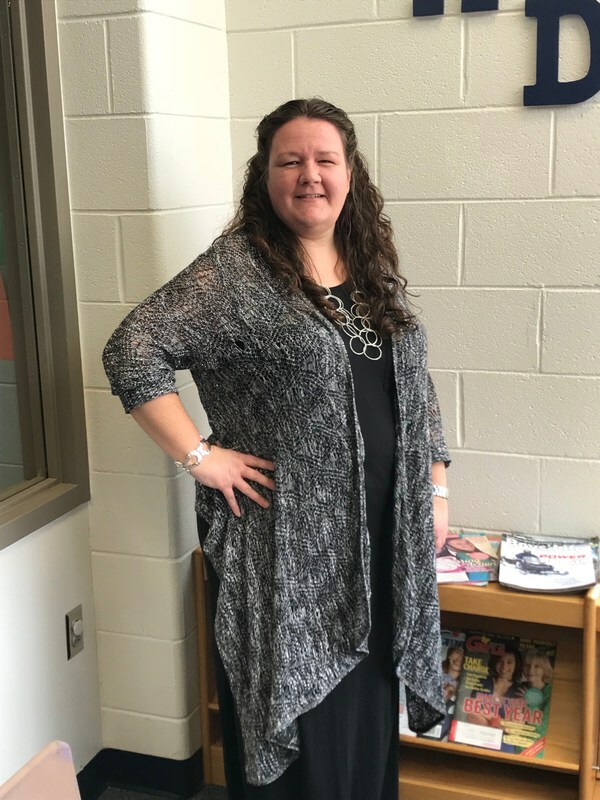 NCE 2018-2019 Teacher of the Year is Mrs. Moss! 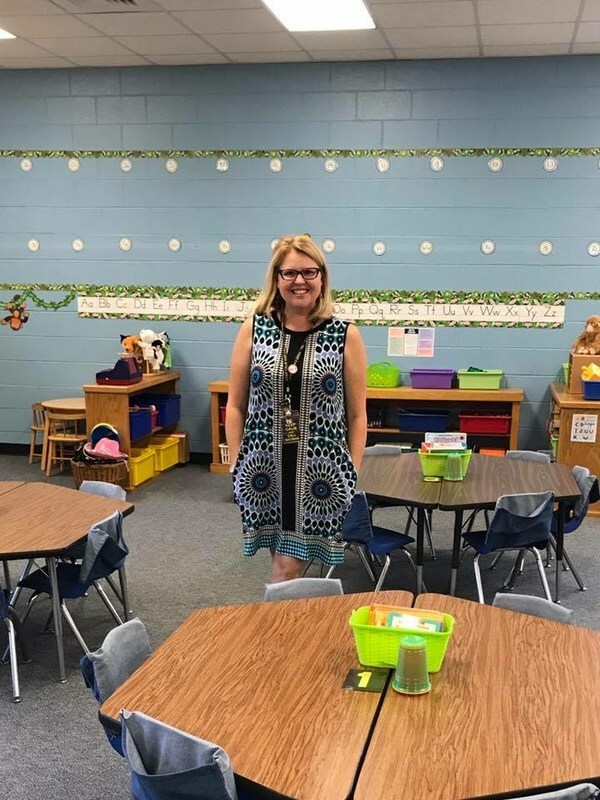 Mrs. Moss has been voted the NCE 2018-2019 Teacher of the Year! We are so happy for her and want to wish her Congratulations! This is a well deserved honor!